It is simple and easy to use. I use it when the number of documents is 10 or less. 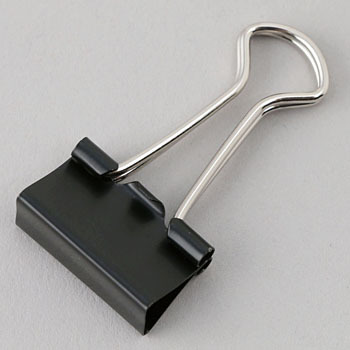 If it is not large, it is rather hard to use if it is a large clip, and this size is cheap and it is useful. This review is about item#6417975. For document organizing. It can be used normally. It also has grips. This review is about item#06417975. This review is about item#06627853. It is easy to use normally without problems. I saw a place selling Rakuten at tax ¥ 48, but since I have purchased other things with Monotaro, I will use it next time.